Adult Enrichment provides opportunities for empty-nesters, retirees, and mature adults to continue their Christian growth through learning, connecting and serving during new chapters of their lives. A series of faith-based travel tours, lectures, museum tours, trips to the theatre and other activities provide educational entertainment and fellowship opportunities. First Presbyterian Church began the first program for those 65 and up in the city in 1958. Adult Plus offers a seated lunch served by FPC volunteers, excellent live programs featuring professional musicians from the fine arts community, games and service opportunities. Activities include bridge, dominos, book center, ministry activities such as knitting and quilt-work and opportunities for volunteers to serve the community. Reserve your spot by the Wednesday before the luncheon by calling the Adult Plus Reservation Line at 713.620.6525. 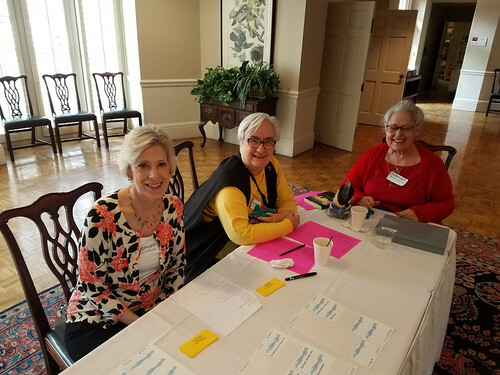 Trips with First Presbyterian Church members offer wonderful opportunities to build lasting friendships, be enriched by meaningful locations and discover insights into biblical and church history. The strategic location of FPC in the heart of the Museum District offers wonderful opportunities for members to explore some of the finest offerings of creative arts and enter into a dialogue of the role of their faith. This new series is becoming very popular with a wide range of adults.